One of the first things Tegan did when we met was present me with a handful of tinsel. She was in the middle of decorating her new room and needed some help. In that moment I was given a glimpse of her personality: beautiful and bright with a generous amount of sparkle. 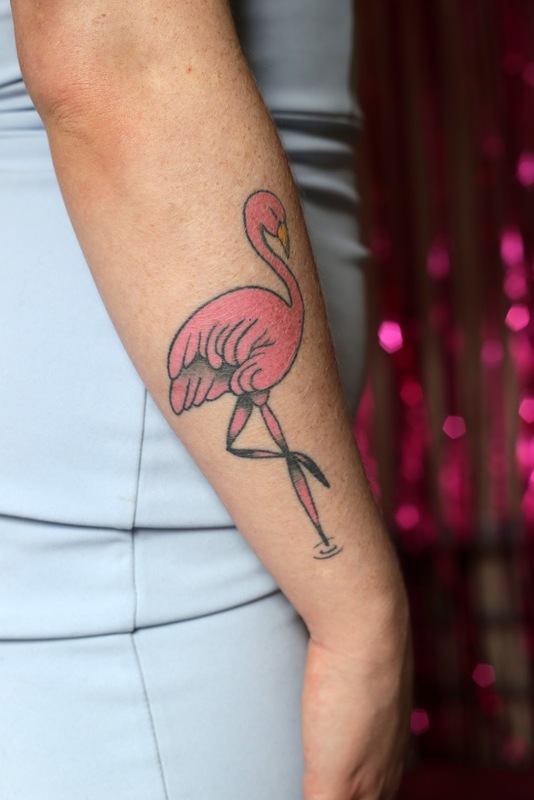 What were the main influences in your life that drew you to tattoos? Was there a particular culture that you followed or individuals who inspired you? I've wanted tattoos ever since I can remember. I've always loved the idea that you can customise your body and use them as a form of self expression. I remember flicking through an old magazine when I was little and finding pictures of these ladies in the 70s with big bouffant hair styles, smoking cigarettes. They were covered in old traditional Sailor Jerry-type tattoos and I remember thinking 'that's what I'm gonna be when I grow up'. They're all pretty colourful and flamboyant, like myself. Tattoos are often judged for their permanence. Why do you think that is? 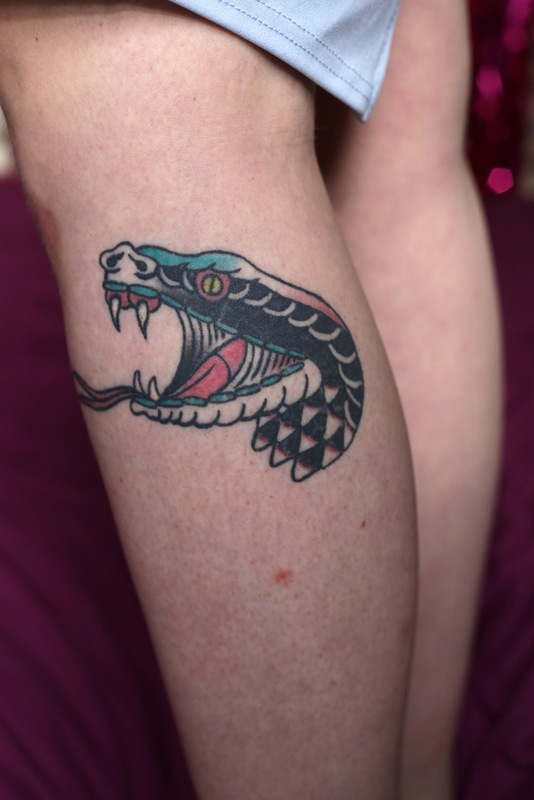 How do you feel about that aspect of tattoos? I'm lucky enough to work in a creative industry where my look and style is fully accepted and encouraged. I also hate this idea that people have that when you grow older, you’re expected to tone yourself down and dress more sensibly. Growing older doesn't mean you have to be boring, or you lose yourself for that matter. So I doubt their permanence will ever bother me. 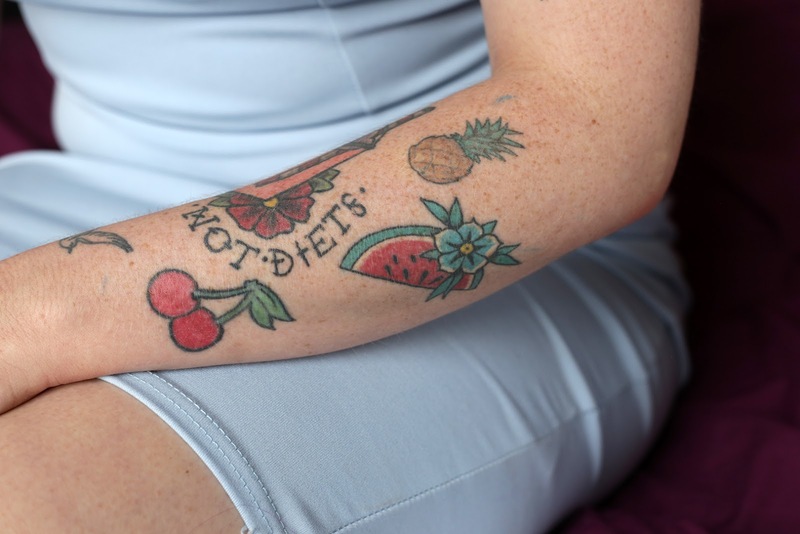 Do your tattoos play a role in your line of work? Yeah I guess so. I work in an amazingly colourful and vibrant salon where being creative and looking equally so is encouraged. Clients do often comment on my tattoos. It's a good conversation starter. People obviously judge a book by its cover and will make different assumptions about someone who has tattoos. 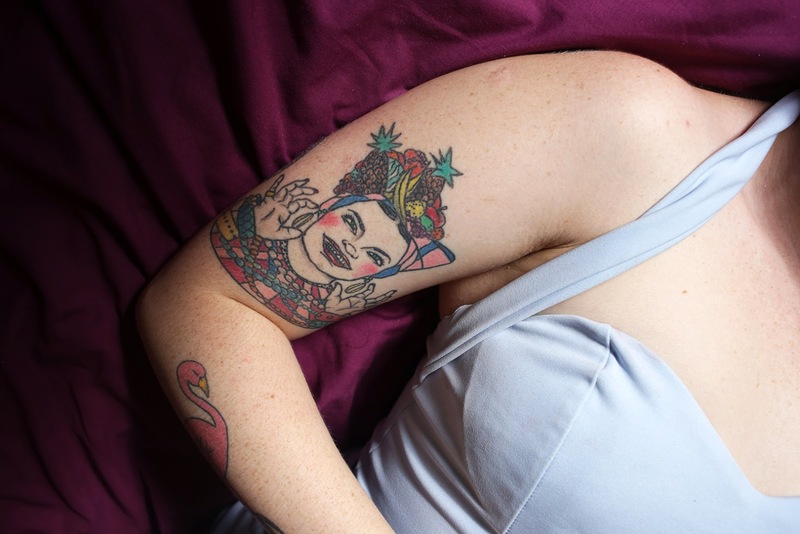 Was that something you thought about before getting visible tattoos? Well I have quite a flamboyant style and personality so my tattoos aren't usually the first thing people are judging me on. I've never really been bothered by people judging how I look. I realised at a young age that people judging me on the way I looked had little to no effect on my life. So might as well be as sparkly, colourful and fabulous as I can. Life is so much more fun and free when you're able to express yourself. When you look at your tattoos in the mirror how do they make you feel? I don't really notice them. They're just me. 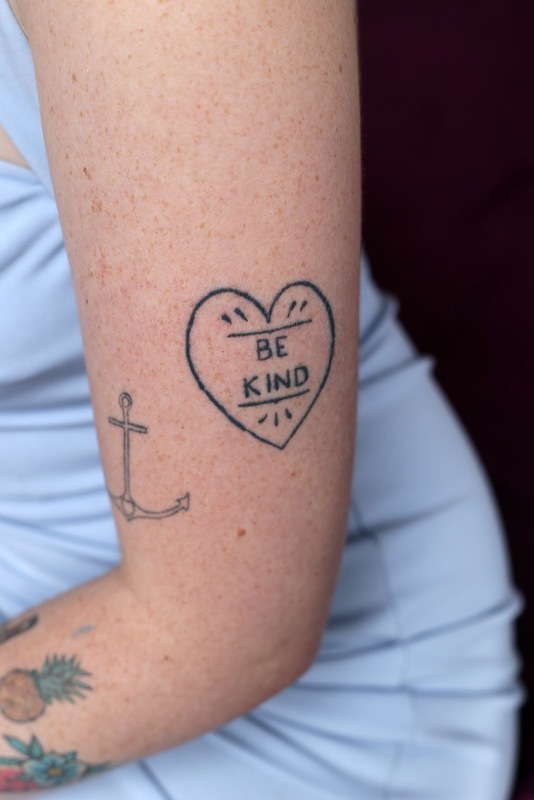 Is there a tattoo you'd really like to get, but are holding back on getting? Well I've been meaning to get this cute cactus my artist Edith drew up for months and the only thing holding me back is bloody money.